This groundbreaking volume provides a theoretical overview and clinical guidelines for the application of neuropsychotherapy. It takes a multidisciplinary approach, combining neuropsychological knowledge with recent conceptualizations from neuroscience and psychotherapy, with special emphasis on the role of working alliance. The first part of the book focuses on the historical roots of neuropsychotherapy. Then, a framework of interpersonal process in neuropsychotherapy and conceptualization for clinical purposes are described. Resistance is described through a historical perspective of conceptualizations to the present-day demands of understanding this phenomenon in the process of neuropsychotherapy. In addition, the neuropsychology of emotions is presented in a therapeutic process through a case intervention. The latter chapters of the book are concerned with special interest interventions and psychotherapeutic working methods suited for neuropsychotherapy. 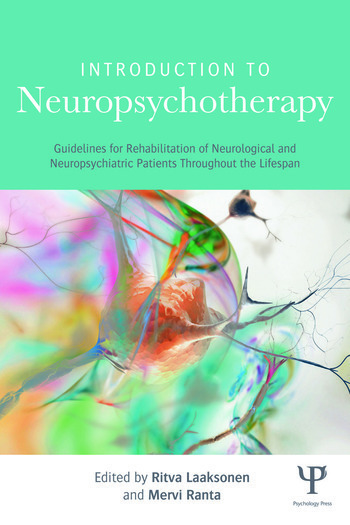 Representing a wide variety of theoretical, research oriented, clinical neuropsychological and psychotherapeutic expertise, this book will interest professionals in neuropsychological rehabilitation and those working with patients with cognitive, emotional and behavioral disorders in in-patient and out-patient settings. G. Prigatano, Foreword. R. Laaksonen, M. Ranta, Introduction. R. Laaksonen, M. Ranta, Neuropsychotherapeutic Approaches in the Rehabilitation Context. R. Ylikoski, Neuropsychological Assessment in Adults: Integrating Neuropsychological Knowledge for Treatment and Therapeutic Purposes. N. Sajaniemi, Brain Development and the Ever-lasting Process of Self-regulation. Implications to the Development of Perception, Attention, Language and Memory. J. Loukkola, L. Paavola, Motivational Regulation and Its Effects on Mental Processing in Neuropsychiatric Disorders: A Rehabilitation Perspective. A. Lindell, Effect of Brain Injury on Emotional Reactions in a Therapeutic Process. P. Häkkinen, Resistance in Treating Neurological Patients. A. Lindell, T. Ketola, Process-Orientated Neuropsychological Out-Patient Rehabilitation. Practical Examples of Post-Acute Stages. H. Kiiski-Mäki, Helping Children with Acquired Brain Injury to Engage in a Neuropsychotherapeutic Process. S. Haikonen, Therapeutic Applications with Different Types of Developmental Disabilities in Young Adults. T. Ketola, L. Paavola, N. Sajaniemi, Challenge to Change in the Family Narratives. S. Koskinen, J. Sarajuuri, Neuropsychotherapeutic Elements as an Integrative Part of Holistic Rehabilitation Programs. R. Laaksonen, Summary of Applications of Psychotherapeutic Methods in Neuropsychotherapy. Ritva Laaksonen is a psychology graduate from the University of Helsinki with a postgraduate degree of Licenciate of Psychology, and a PsL specialization in clinical neuropsychology from the University of Jyväskylä. She is an official supervisor registered by the Finnish Neuropsychological Society. She has served as a clinician, administrator, educator, and researcher in public posts at the Helsinki University Hospital Department of Neurology, and has been the chief psychologist there for 13 years. She is also a state registered psychotherapist trainer. Mervi Ranta is a psychology graduate from the University of Jyväskylä with a postgraduate degree of Licenciate of Psychology, and a PsL specialization in clinical neuropsychology from the University of Helsinki. She is a state registered psychotherapist, and she has worked as a clinician and a supervisor in a public post at the Seinäjoki Central Hospital Department of Neurology since 1986, where she is presently serving as the chief psychologist.